Make your eyeglasses sit perfectly on your nose with these comfortable nonslip adjustable eye pads for Versace VE1184 eyewear. Look smart, play hard, and keep your lenses protected with these professional looking semi-rimless eyeglasses that will give you a clearer picture while reading, and also a smarter appearance. These sharp-edged rectangular frames with thicker edging are statement glasses that offer a bold look, which only some people can pull off. Perfect for those with round or oval faces, these frames will help add more definition and give you some serious street-cred at the same time. 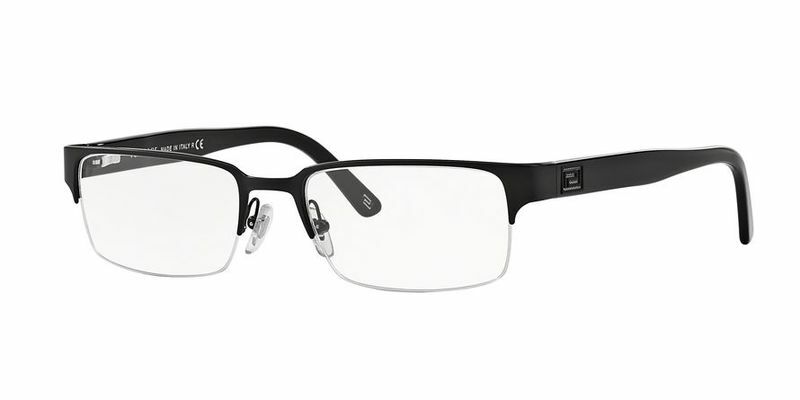 If you're a relatively relaxed person with a relaxed style, you'll love this casual Versace VE1184 eyewear style that is versatile and practical at the same time. All quality Versace VE1184 glasses should sit well on the face, which is why these medium temple frames will sit perfectly on your nose.